The date sheet of grade 5 exams 2017 for the students of public schools has been issued by the Board of Intermediate & Secondary Education Malakand. 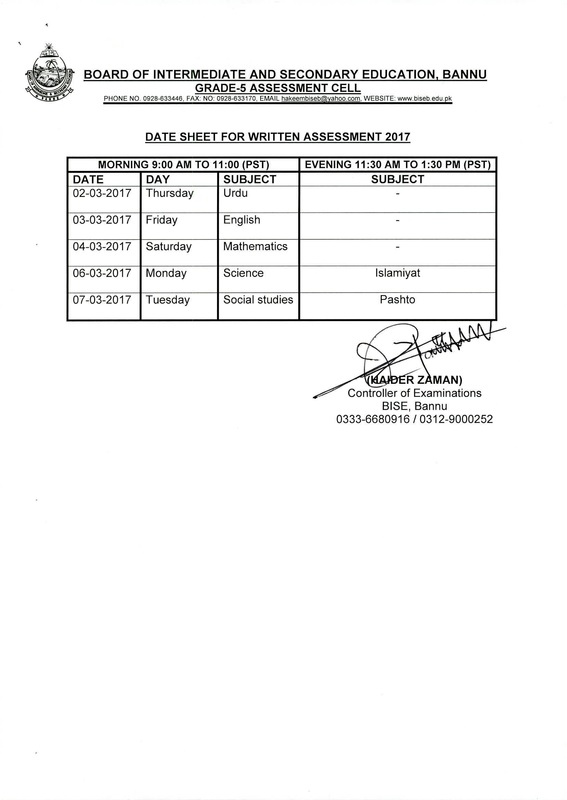 In these exams, total 7 papers will be held from 2nd to 7th March 2017 during morning and evening sessions. BISE Malakand has uploaded complete date sheet of these class 5 exams at its official site for the concerned students.